In 1896 two brothers, Raffaello and Alfonso Zoja, died in the Gridone's rocks. 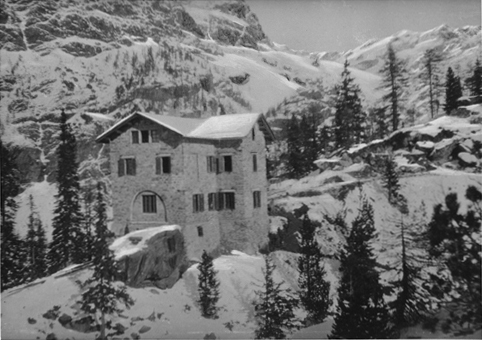 In 1929, in order to remember them, their mother, Adriana Zoja Panizza, offered to the Italian Alpine Club (CAI) the funds to build the Zoia Hut. This hut was immediately considered as a basic crossing point for all the mountaineers, who directed their selves forward the Bernina Group. 4 hours by walk), place where the driveway ended. In the years 50th and 60th the setting up of two dams in Campo Moro and Campo Gera made necessary building a driveway for both the places, consequently the Zoia Hut was accessible by car. This situation led a partial transformation of the hut, which became an out and out base field for the mountaineers. At the same moment, the hut became place for family holidays and low mountain excursions, for the different kind of comfort that you could find there. 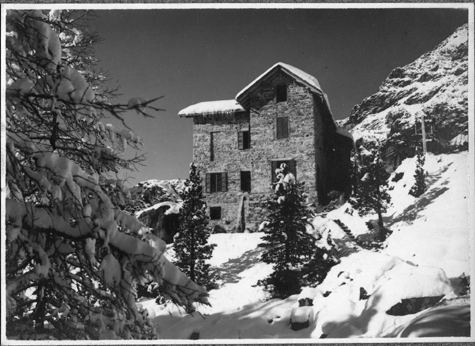 In 1980 the Zoia Hut was entrusted to the Alpine guide, Ignazio Dell'Andrino, who managed the hut for over 25 years with his wife Giuseppina and the son Sergio. recipes, and for the hospitality of this family. In 2006 the Zoia Hut has been sold by CAI to Fabio and Emanuele Bergomi, respectively Dell'Andrino son in law and grandson. In this way they can follow the long tradition of the family, with the same passion and the same hospitality. Rifugio Zoia is open both in Summer and Winter, check here opening periods.